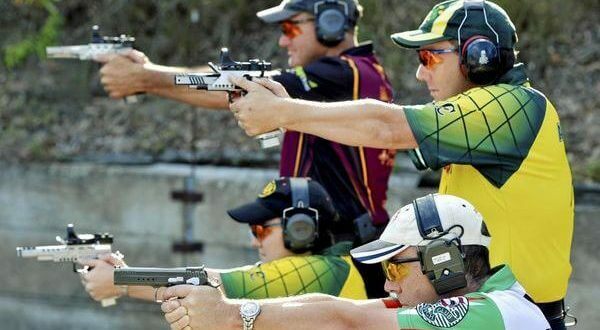 NRAA competitive shooting is designed to encourage skill development and knowledge of shooting in general. Today we use single-shot, bolt action centre-fire rifles as well as a range of pistol events which depending alot on accuracy. Today's participants include both men and women of all ages from all walks of life and allows both purpose-built target rifles, 'scoped rifles, "free" class rifles, "match" rifles & pistols. Individual competitions are held at all levels in various classes, see our competition calendar for future dates. Team competitions are held at GCPC on club, district, state and national levels. The most popular calibre is .308 ( 7.62mm ) which in the hands of the best shots can achieve group sizes of less than 2 minutes of angle over various distances, but the 5.56mm calibre is also competitive and is preferred by some shooters. Once the fundamentals are learned, much of the challenge is mental discipline and "reading" the effects of wind and light. At further distances, this can be quite a challenge!